On Sunday night, January 20th, another Total Lunar Eclipse will be seen over North America for 62 minutes beginning at 11:41 PM EST, 10:41 PM CST, and 8:41 PM PST. It also can be seen very early on the morning of Monday January 21st at 4:41 AM from the United Kingdom, 5:41 AM in Europe and in Israel, a few people might glimpse it right before it sets in the West at 6:41 AM. Oh how things have changed. They used to be called Lunar Eclipses, but now that term has been relegated to the scientists. 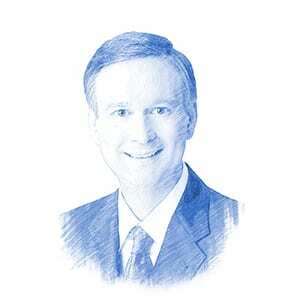 For the rest of us, every lunar eclipse has now become known as a blood moon, the origin of which really goes back to the 2008 discovery by Pastor Mark Biltz, of a pattern of four lunar eclipses. Those who discover something usually play a large role in naming it. 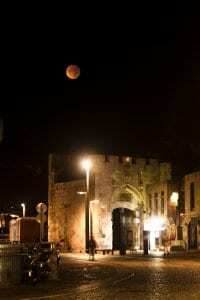 Mark, a Christian pastor knowledgeable in astronomy, happened to see on the Internet in March 2008 a total lunar eclipse over the Temple Mount in Jerusalem. Being interested and appreciative of the Jewish roots of our faith, and the Hebrew Calendar, he realized that every full moon (and therefore every lunar eclipse) must occur at the middle of the month on the Hebrew Calendar. He also knew that the major Jewish holidays of Passover and Sukkot (Feast of Tabernacles) also occurred at the middle of the month. He wondered to himself how often it might happen that a total lunar eclipse fell on either Passover or Sukkot. He went online and checked the lunar eclipse pages at NASA, which is one of the best sources of such information, and saw that up to four lunar eclipses can happen in sequence, each of them about 6 months apart from each other. This formation is called a tetrad, and Mark noticed that some of these tetrads were falling on years that were very important in Jewish history: around the time of the establishment of Israel in 1948 and the Six Day War in 1967. I had known of these “tetrads” myself for about 35 years because of my interest in astronomy, but Mark knew all about the Hebrew Calendar in 2008, when a lot of people including me were unaware of it. Mark quickly noticed that these tetrads sometimes happen on the feasts of Passover and Sukkot on two successive years: 1949/1950 and 1967/1968 and that another of these tetrads was coming soon in 2014/2015. Sukkot 2015, as shown in the photograph below. The sun shall turn into darkness And the moon into blood. But everyone who invokes the name of Hashem shall escape; for there shall be a remnant on Mount Tzion and in Yerushalayim as Hashem promised. Anyone who invokes Hashem will be among the survivors. Joel 3:4-5 (TIB). (Note: See Joel 2:31 in Christian Bibles). Perhaps like me, you first heard about the Blood Moons through Pastor John Hagee. John learned about them directly from Pastor Mark Biltz, but published his own book first, and captured much of the attention. Camp 1: Those who believed it was a sign from God were a combination of excited, interested, and fearful about what might happen to Israel and their own nation during this period of the Blood Moons. 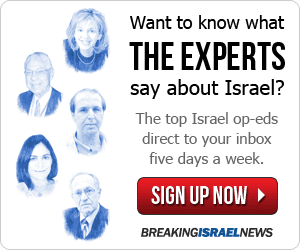 John Hagee’s quote was: “Something is about to change!” After the Blood Moons, many people in this camp felt let down. The “changes” were not commensurate with the “build-up.” Others in this camp were just downright angry. Camp 2: Those who were interested in the End Times, but did not believe this was a sign from God, first tried to ignore it, but eventually had to weigh in on it. Many articles and videos came out on it from the prophetic community, and from pastors and Christian leaders. 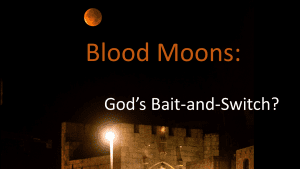 The objections to it ranged from “date-setting is unbiblical” all the way to “the Bible never talks about FOUR blood moons.” Not one of these people has changed their minds after the Blood Moons. Every one of them would certainly assert: “I called it correctly!” The Blood Moons for them has become a poster child for hype and a teaching moment for their flock. Next let us talk about those Christians who were not already interested in End Time prophecy. They divided into four more camps. Camp 3: People who were already interested in Israel, who were curious to learn about it because the Blood Moons had to do with Israel. This perhaps deepened their understanding of the feast days, and is a positive outcome. Camp 4: People who were interested enough in learning about the topic, that it actually spurred them on to learn about both the topic and about Israel and understand the feast days. This is an extremely positive outcome! The Blood Moons put Israel on the map for many Christians, forcing them to start the process of learning about their Jewish roots. I myself was one such person! Camp 5: People who had either never heard about it, or simply ignored it completely, because they didn’t care about End Times prophecy, or they didn’t care to learn any more than they already knew about Israel. Ninety percent of Christians worldwide probably fell into this category. Camp 6: People who had been “burned before” with theories of the End Times and dismissed the entire event as “here we go again!” These people felt validated for dismissing this theory and next time around will be even more resolute in their dismissal. So is there any silver lining to this whole story? Yes, l believe there is. It seems that God is quite content to “get what He wants” even in ways that are not direct, nor in the manner of which we might approve. I believe that God is pleased that hundreds of thousands of people, if not millions of people around the world have in the process of the recent Blood Moons mania learned about the feast days of Passover and Sukkot, about how they are part of God’s calendar, and to see that even the amazing sights in the heavens — like lunar eclipses — have a connection to God’s decrees in the Bible. The Old Testament, as it is referred to by Christians, needs to be studied. Interesting debates were happening, and they were happening with respect to the Bible. All told, the Blood Moons turned the attention of millions to Israel, to the Bible, and to what it had to say about the future. This is not a bad thing. In sales they would call this Bait-and-Switch. You get the customer into the room for one thing (that they care about), and once they arrive you show them another thing (that the salesperson cares about). God is not above doing this! For example, 3,000 years ago, many people came from all over the world to Jerusalem to meet Solomon and hear his wisdom (the bait), and yet many of them came away with a larger appreciation of the God of Israel than they ever expected (the switch). God usually wins in the end. No, God always wins in the end! Meanwhile down here in January 2019 we have a fairly typical total lunar eclipse coming on January 20th that can be enjoyed and can cause us to praise the Almighty God, creator of Heaven and Earth! But thanks to Mark Biltz and John Hagee much of the media now refers to it as a blood moon.